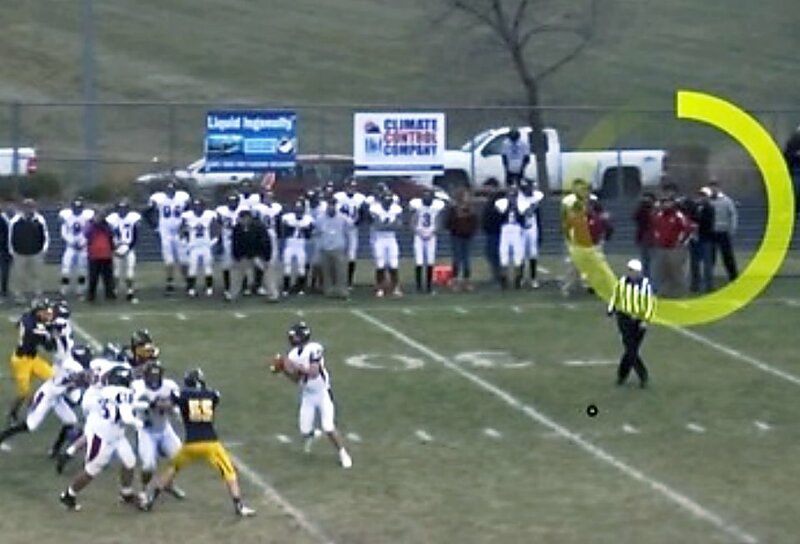 In this screen shot provided by Fort Morgan High School, Mustangs coach Harrison Chisum (red jacket) watches action at Bears Stadium while a videographer stands behind him in the coach's box on Nov. 22, 2014, in Rifle. The incident led to Rifle's football program being placed on restriction. 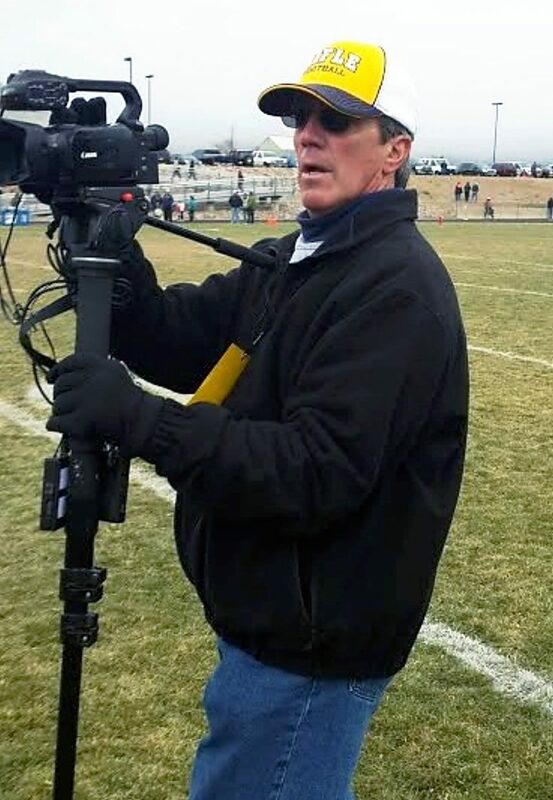 Fort Morgan High School Athletic Director Kyle Bules provided this photo of the man he said was the videographer he asked to leave Fort Morganâs sideline during Rifleâs 3A state semifinal football game Nov. 22 against the Mustangs. 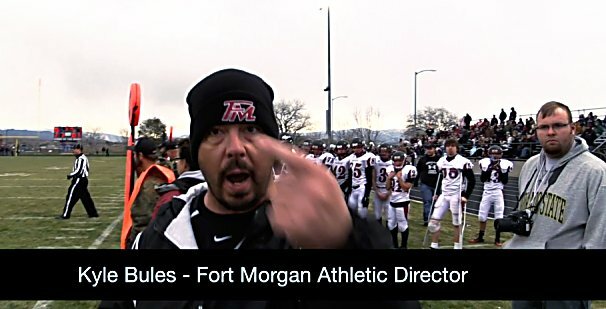 This still frame from a video provided by Align Multimedia shows Fort Morgan High School Athletic Director Kyle Bules confronting videographer Bruce Harper during the state 3A football semifinal game Nov. 22 in Rifle. 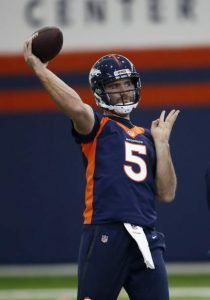 If the Rifle High School football team fails to appear in the playoffs this year it will be because of the Bears’ performance on the field, and nothing else. 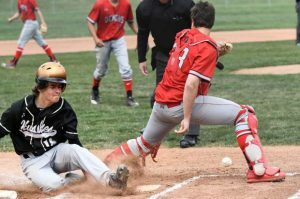 The Colorado High School Activities Association board of directors on Aug. 7 removed the restriction placed on the team and replaced it with a one-year probation period. The restriction — which would have banned the Bears from postseason play — was in response to a volunteer videographer entering the opponent’s coaching box during the 2014 Class 3A football semifinal against Fort Morgan at Bears Stadium in late November. 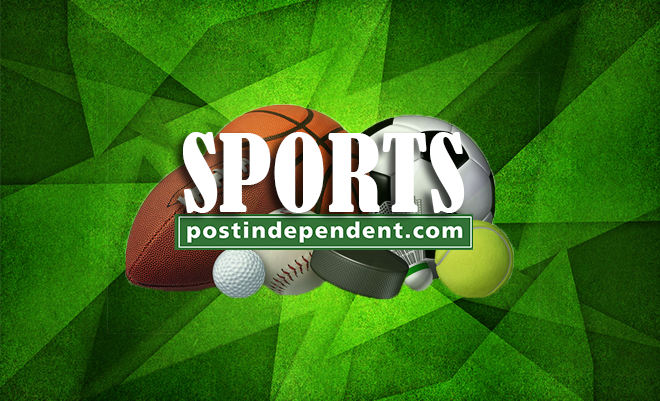 CHSAA Commissioner Paul Angelico informed Rifle High Principal Todd Ellis of the decision to retract the restriction in a letter dated Aug. 10. Assuming no further violations, the probation will be automatically removed in one calendar year, according to the letter. 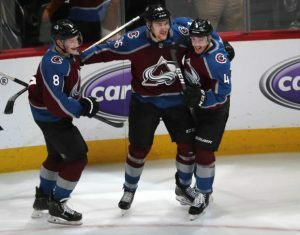 “We are quite happy that our team is again eligible for postseason play and excited to see them move forward in pursuit of their goals,” Ellis said in an email Thursday. Reached by phone Thursday, Angelico said “there was never any doubt” in his mind that the restriction would be removed. One of the stipulations for being cleared for postseason competition required the school to submit a plan preventing similar incidents in the future. That plan, submitted by Ellis on March 3, mandates all photographers and videographers sign a form agreeing to follow the school’s rules and expectations. It also states that administration officials will monitor both sidelines to ensure the code of conduct is not violated. Further, Ellis said that the school had informed Align Multimedia — a Rifle-based company that was shooting video for a weekly sports show — that the volunteer videographer at the center of the controversy, Bruce Harper, would no longer be allowed to video or photograph Rifle High activities. Those details satisfied the CHSAA board, according to Angelico. “Suffice to say Rifle High School and its football program are in good standing with the association,” he said. However, the videographer had no way of communicating with the Rifle coaching staff, Phillips wrote, before addressing what he believed to be a series of mistakes in Bules’ letter. While the Bears are now cleared to compete in the playoffs, they will start the season tonight at home without head coach Damon Wells, whose one-game suspension remains in effect. Wells, who is entering his 10th season as head coach, did not respond to an email seeking comment on CHSAA’s decision. The Bears face Grand County out of Moab, Utah, in the season opener. Kickoff is at 7 p.m. at Bears Stadium.